At Home: Combine rice and veggies in plastic bag. 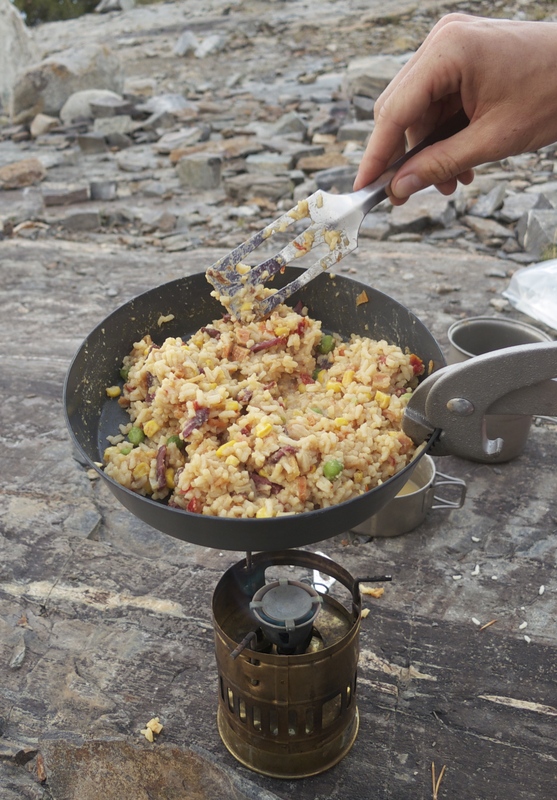 Put egg serving in separate bag (adding a small amount of powdered milk to the egg can improve flavor in the back country).Make the meal easy to retrieve from the bear canister by keeping egg bag in the rice/veggie bag. 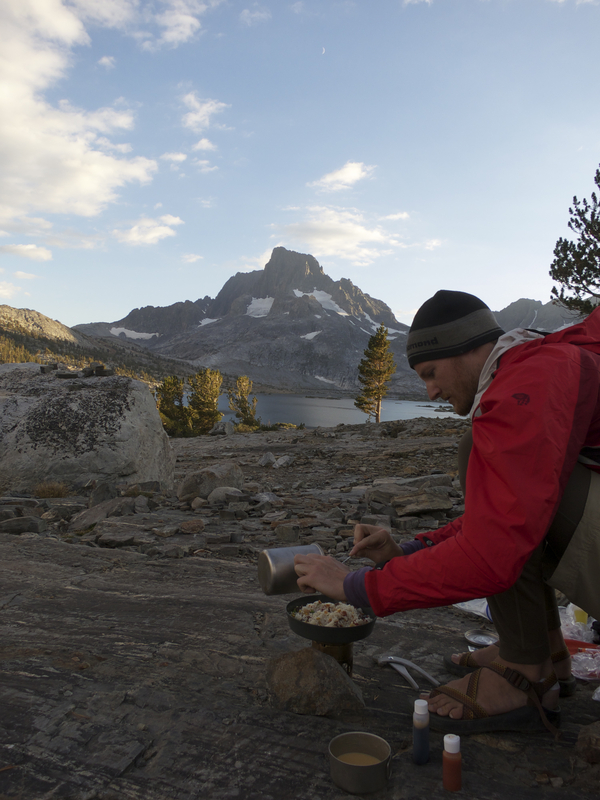 In the backcountry: If using jerky as the meat, shred your preferred amount of jerky first. Bring water to boil. Add rice, veggies, and jerky, then set aside to let hydrate. Once hydrated, transfer to frying pan (if using canned chicken, this is the time to add it). Use any remaining water to mix up eggs (add water as necessary). Fry rice until hot before adding eggs to the pan. Continue frying until eggs are cooked. Add soy sauce and seasoning to taste.